At Grace Composites we are committed to providing our clients with excellent craftsmanship on all of their fiberglass fabrications. We offer standard products in addition to completely custom fabricating services to meet your needs. Take a look at our products & services below. Grace Composites designed and built its own state of the art filament winding equipment and machines. We have experience working with a wide variety of resin & catalyst systems. Our engineers can design piping systems to meet your exact service application. Grace Composites Fiberglass Ductwork is designed specifically for each application. We also have standard specifications available for a wide variety of applications. Please feel free to contact us for technical information or quotes. We have the ability to manufacture complete duct systems including ductwork piping, ductwork fittings, hoods, dampers, and expansion joints. Our duct can be manufactured in round, oval, or square shapes from 2”-42” in diameter. Grace Composites can fabricate a wide variety of fiberglass piping and duct systems. We adhere to strict quality control requirements including licensed and certified bonders. Shop fabrications save time and money for fast paced jobsites. Give us a call on your next fabrication and see how we can increase piping system installation efficiencies. 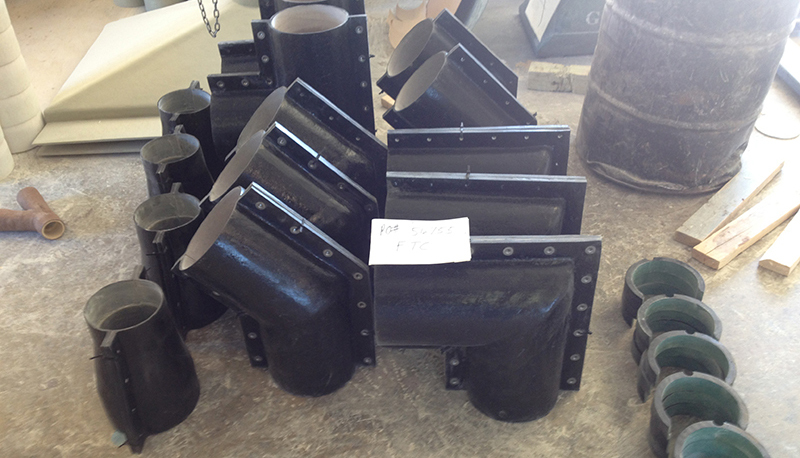 Grace Composites can fabricate specialty secondary containment pipe and fittings in a wide variety of shapes and sizes. Grace Composites has designed and built several rectangular and small diameter fiberglass tanks to meet a wide variety of storage requirements. 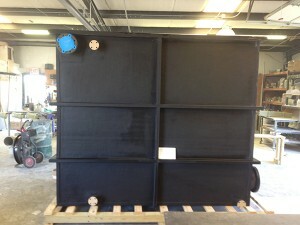 Grace Composites offers hydro/proof testing services for spools built by us or spools provided to us. We have the ability to create CAD shop drawings and cut sheets for all types of piping systems and custom fittings. With over 150 years combined experience in shop management and engineering, it is easy to see the value Grace Composites can offer on your next project. Our in house engineers are ready to solve your corrosive and fluid handing issues.